Location: Beardsley Zoological Gardens, Bridgeport, CT. Program: Design of a full service restaurant with an indoor seating area for visitors. This sit down restaurant is to replace a seasonal freestanding snack bar currently in use. 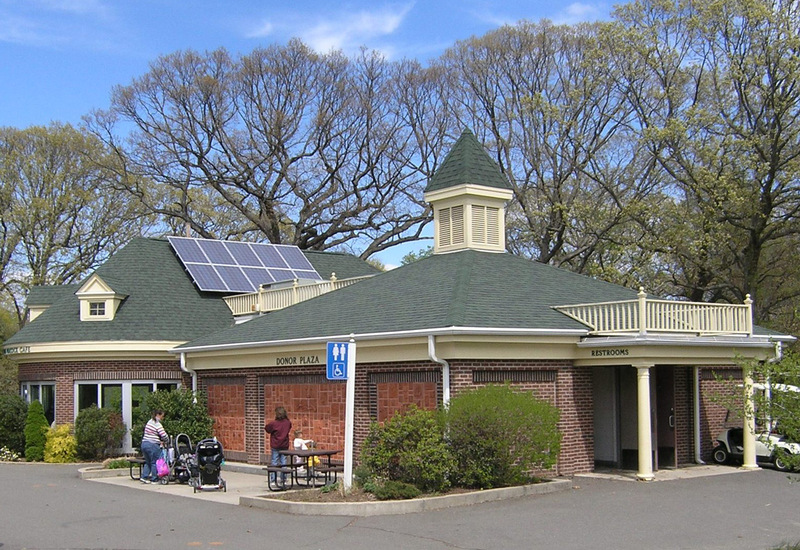 Is addition to the restaurant the building is to contain a large-scale public restroom. The restrooms must have separate access from the restaurant. Am open-air plaza adjacent to the restaurant should provide for seasonal outdoor seating and larger groups. 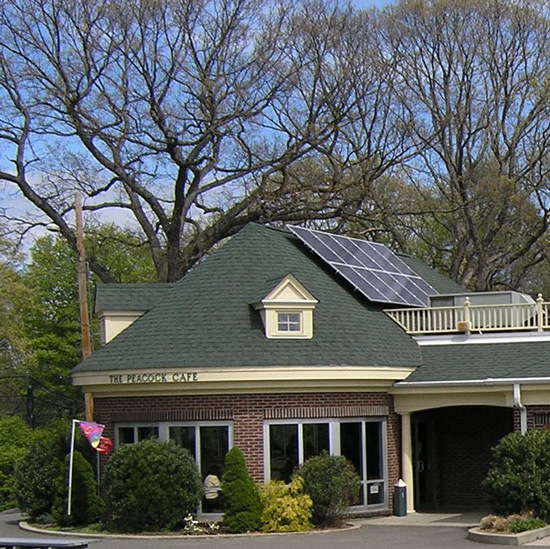 Design Solution: The proposed location of the building is per the master plan study. 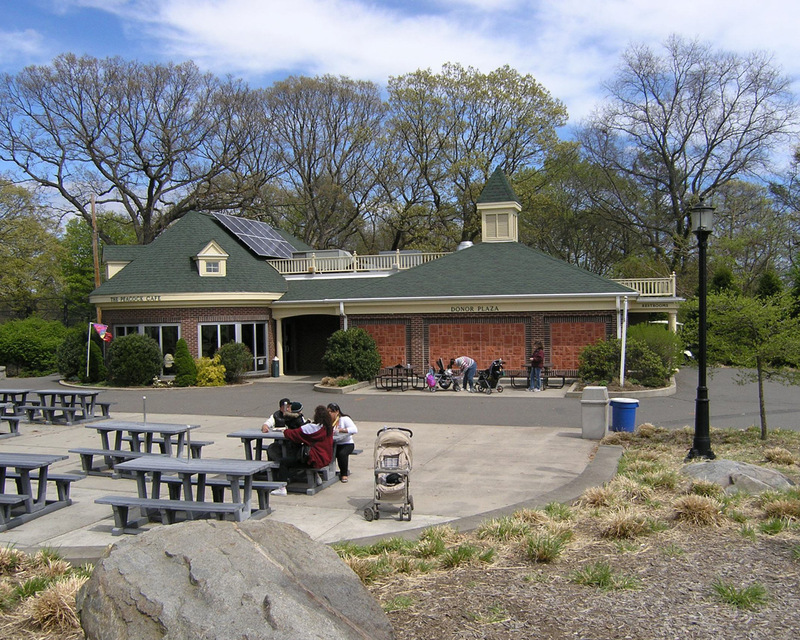 This location situates the facility adjacent to the Carousel; a spot where large functions and Zoo fundraisers take place; and near the pavilion where visitors gather for exhibits, lectures, and evening concerts. The location also provided for easy access for staff and vendors via non-visitor service roads. The building is orientated so that the indoor seating area is provided a dominate view of the surrounding area, and the restrooms entrance is away from the major activities. 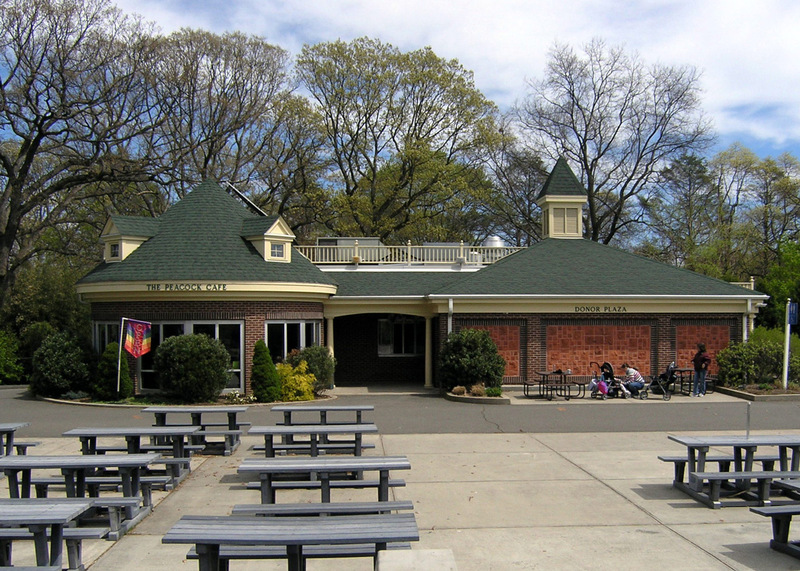 The architectural style of the building is of a Victorian vernacular; similar to the existing visitor support buildings near the Zoo’s entrance.